Spooky Sponges Make For Fun, Festive Halloween Decorations! 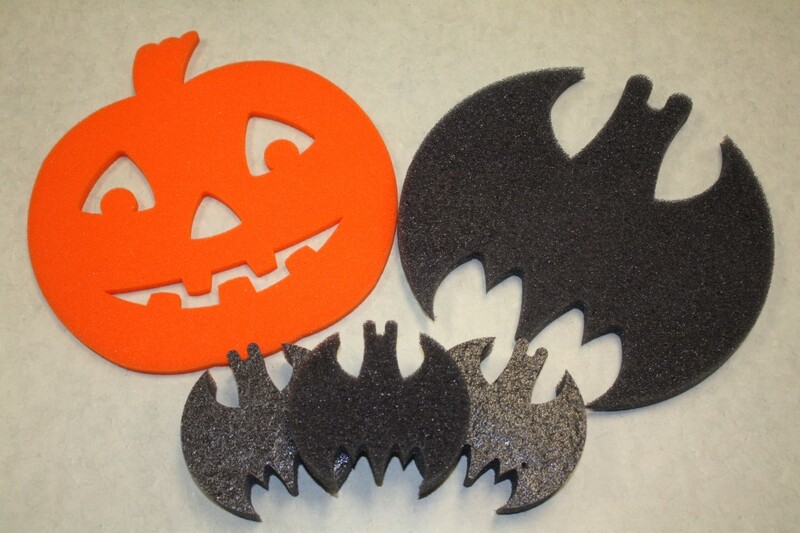 Just in time for Halloween, The Foam Factory is offering some fun foam cutouts, great for crafts or decorations! With a friendly jack-o’-lantern and a spooky bat both measuring 1′ in width, you can get a sizable home decoration that’s easy to mount, easy to store, lightweight, and won’t scuff or damage any surfaces. The Foam Factory also offers smaller, thicker bats in 5″ widths great for crafting, activities, or even as a neat scrubbing sponge for people who really like to get into the spirit of the season! These limited edition foam cutouts are only available through Halloween, so hurry up and stop by today to pick up yours! Note: These products are available in-store only, at The Foam Factory’s Southeast Michigan location. See our Contact Us page for directions or for more information.